Join Hearthstone Mission Designer Giovanni Scarpati and Lead UI Designer Max Ma as they take you on a tour of Boom Labs’ most enigmatic facilities: The Puzzle Lab! In The Puzzle Labs, you’re tasked with helping Boom Labs head scientists and their assistants overcome challenging obstacles to their research! Each lab represents one of four different puzzle types: Lethal, Mirror, Board Clear, or Survival. Each lab starts with a simple challenge—a “Puzzles 101” to familiarize you with the experimental procedures—but they ramp way up in difficulty from there! You can do The Puzzle Labs in any order, so if you get stuck, you can shake things up and put in some work at a different Lab for a while. Complete every last puzzle in the place, and you’ll earn one heck of a diploma: The Boomlabs! 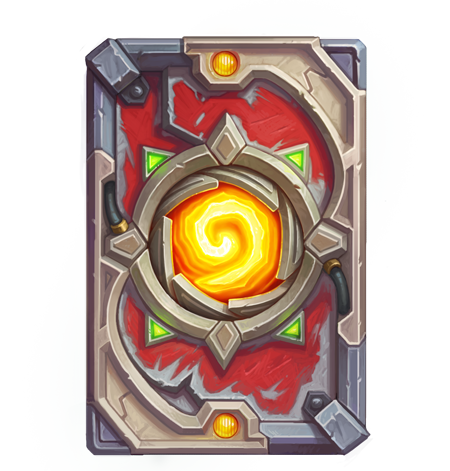 card back will be added to your collection! Don’t forget! If you haven’t claimed them already, you can still log in to get a free Legendary minion (or Hero card) and three card packs—both from the new expansion—FREE! Join us starting August 21 to experience The Puzzle Labs, and get three more The Boomsday Project card packs when you log in. These free card packs and Legendary card are only available for a limited time—so act fast!—but The Puzzle Lab is here to stay.